One year since the battle between the Islamic State (IS) group and the Iraqi forces officially ended in Mosul, the health system is still in ruins and struggling to cope as thousands of people continue to return to the city, Doctors Without Borders/Médecins Sans Frontières (MSF) said today. 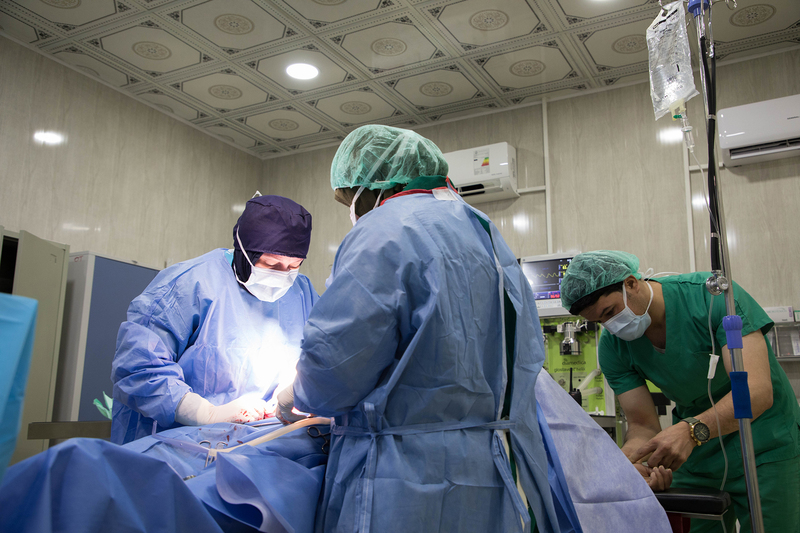 During the conflict, nine out of 13 public hospitals were damaged in Mosul, slashing healthcare capacity and the number of hospital beds by 70 percent. The reconstruction of health facilities has been extremely slow and there are still less than 1,000 hospital beds for a population of 1.8 million people, which is half of the internationally recognised minimum standards for health service delivery in a humanitarian context. 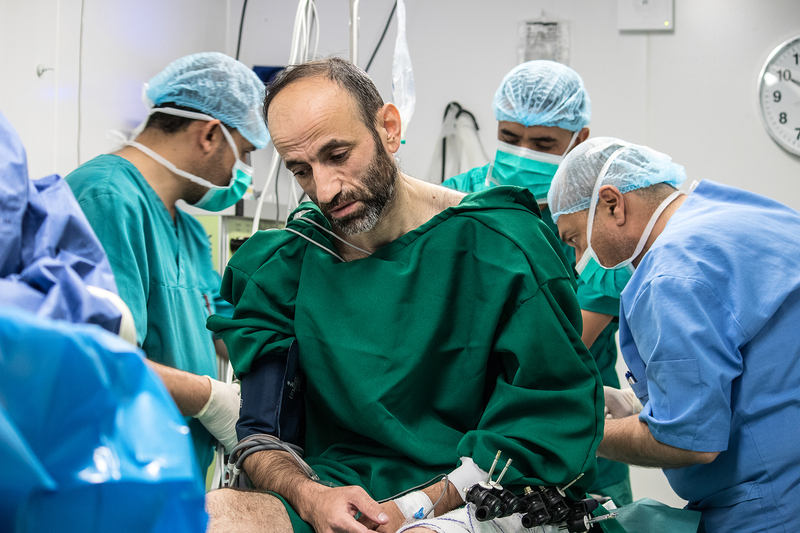 Forty-two-year-old Nashwan* was shot in the leg and back by a sniper in Mosul in March 2017 when he was buying food. Since then, he has lived in agony with his injury and has been unable to access adequate healthcare. 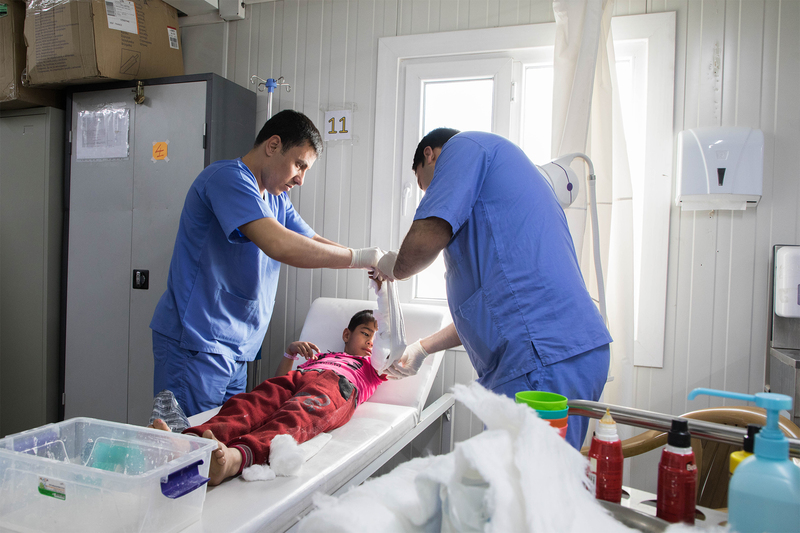 At MSF’s hospital in west Mosul, the team saw in the past 12 months a shift from war-related wounds, to mine injuries, and more recently, injuries and medical issues related to poor living conditions as more people return to the city. For example in May this year, 95 percent of trauma cases received in the emergency room (ER) were related to the unsafe living conditions – such as falling rubble, buildings collapsing or people falling from unstable structures.